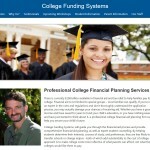 We converted their static website into a WordPress website. ... and easy-to-use customized admin tools so client can maintain their content. 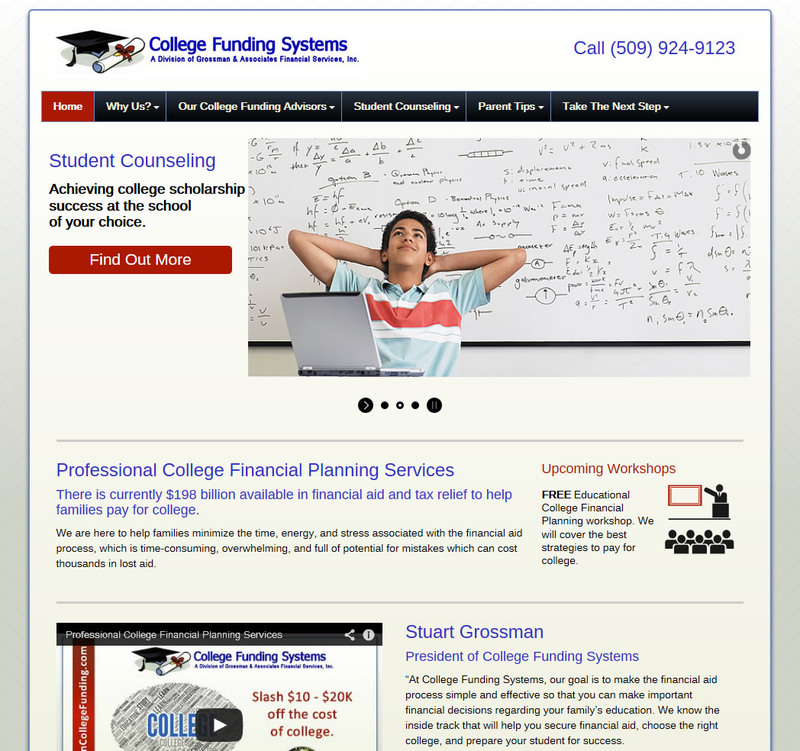 Working with Stuart and Chris we migrated their static website to our Managed WordPress Framework complete with a unique WordPress web design & customized site admin tools specifically for their college funding business. We started with their unique logo. 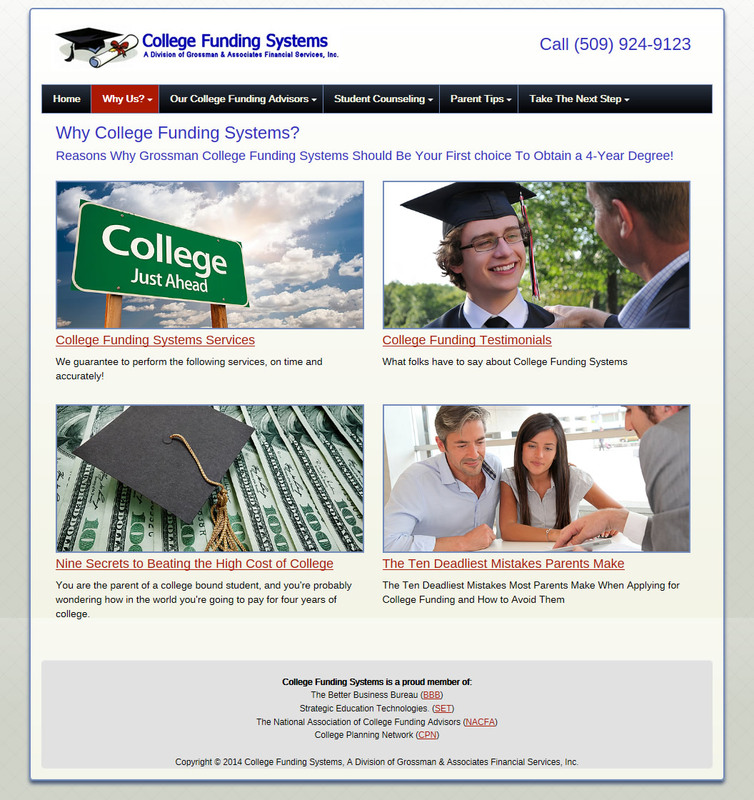 It was crisp, clip art style graphic of the Graduation Hat and scroll which gave rise to the black, purple, red and slate blue color palette for their WordPress web design. The straight forward icon’icity style of the graduation hat and scroll was carried through with simple icons chosen for the featured section of the website. The drop down menu bar mimics the colors in the graduation hat. The call out color of red stems from the red ribbon along with the purple headlines similar to the logo font color. We loved how the red in the ribbon looked and used that color to draw attention to key parts of the WordPress web design. We took a chance and used purple, from the logo font color and used that as a secondary call out for the phone number, page headlines and intros. In the information architecture phase we reorganized their content in logical groupings of company info, student research & parent questions all with the prompt to action of “Take The Next Step” to prod potential clients onward. To make each content pages pop, we hand-selected photos and presented them in a big colorful size so each page is memorable and content easily accessed from category overview pages. 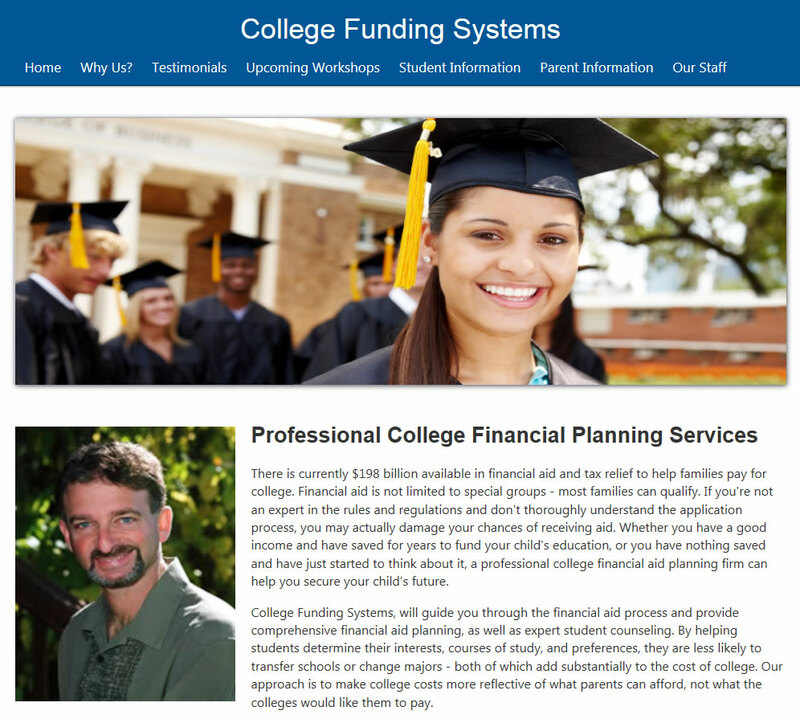 We have been very pleased with our new WordPress website and have gotten great responses from people who went to our site after a College Funding Workshop.